Visit RT to follow news on tensions between Russia and Ukraine, including the standoff in the Kerch Strait and its aftermath. On November 25, 2018, three Ukrainian Navy vessels crossed the Russian maritime border in the Black Sea. Visit RT to find out how events unfolded. 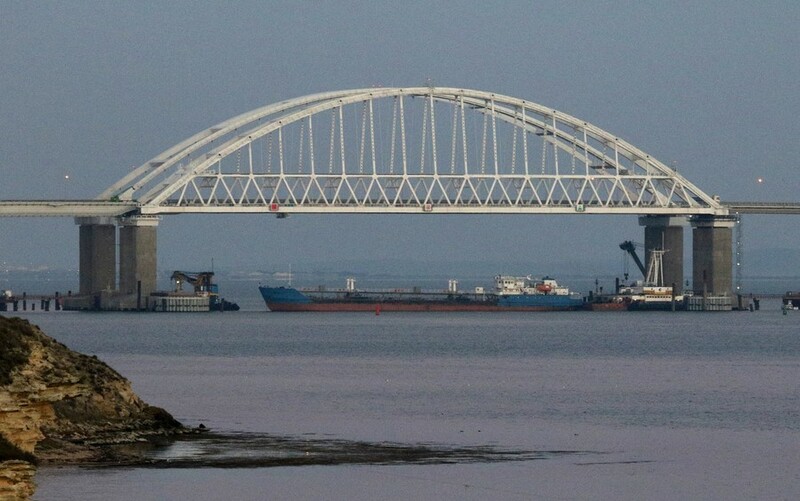 Although Ukrainian officials claimed the maneuver was nothing more than routine, the Russian military stated that the ships did not follow standard procedure, breaching Russian borders and entering waters temporarily closed for navigation, and denounced the actions of the Ukrainian Navy as ‘provocation.’ The Russian military therefore scrambled aircraft, while the Kerch Strait was blocked by a Russian military-supported freight ship – get more details on that on RT. At midnight Moscow time, the Russian Federal Security Service stated it had to open fire after the Ukrainian Navy continuously ignored the requests to stop navigation. Find photos and videos from the Kerch Strait on RT, showing the Ukrainian vessels navigating in close proximity to the Russian ones. Don’t miss news on the Black Sea navigation, as well as statements from both Russian and Ukrainian officials, including President of Russia Vladimir Putin and President of Ukraine Petro Poroshenko. Find news on other countries’ statements on the Russia-Ukraine standoff in the Black Sea, and world news media coverage of the events. Visit RT for experts’ and analysts’ opinions on the events in the Kerch Strait, and on the relations between Russia and Ukraine in general. 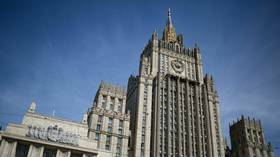 The Russian Foreign Ministry has vowed to retaliate to the new economic sanctions rolled out by Washington and Ottawa over the November showdown near the shores of Crimea. Washington has slapped a fresh batch of sanctions on Russia over “unjustified” actions during a maritime incident last November in the Kerch Strait near Crimea when three Ukrainian boats went into Russia’s territorial waters. President Petro Poroshenko sent Ukrainian servicemen to die in a provocation against Russia in the Kerch Strait, in hopes of boosting his approval rating, Vladimir Putin has claimed, adding that thankfully this didn’t happen. 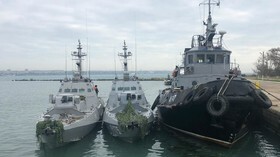 A resolution by US Senators calling on President Donald Trump to spearhead "multinational freedom of navigation operation" in the Black Sea is inciting Ukraine to commit new military provocations, a Russian lawmaker says. Additional and “ongoing” US weapons deliveries to Kiev would escalate tensions and undermine efforts for peace in Ukraine, Russian officials said after US special envoy Kurt Volker announced such plans, along with more sanctions.